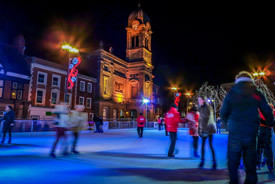 A partnership since 2011 and part-public funded, Christmas Ice Rinks works alongside Derby City Council, Derby Live and 3aaa to deliver a Christmas experience in the city centre. 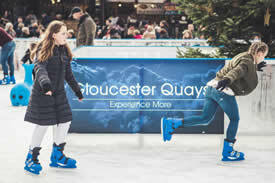 As winners of 2016’s Great British High Street ‘City Location’, The Cathedral Quarter is the ideal location, offering a beautiful backdrop to the festivities. With a 9% LFL increase on the previous year, 2016 was another successful year for the popular rink.